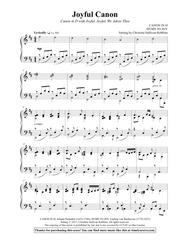 Composed by Johann Pachelbel, Ludwig van Beethoven. Arranged by Christine Sullivan Robbins. Classical Period, Baroque Period, Christian, General Worship, Wedding. 7 pages. Published by Christine Sullivan Robbins (S0.198811). 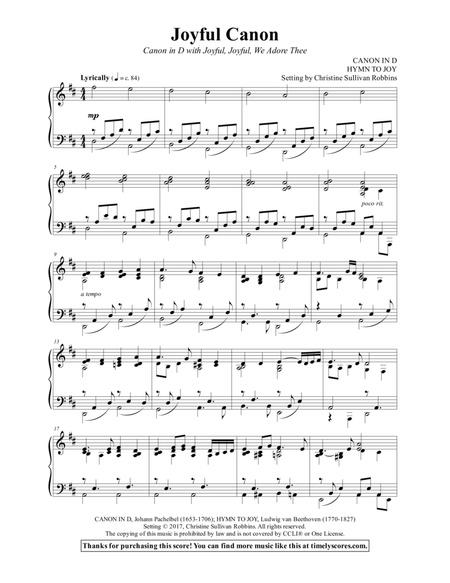 Listeners love hearing the fresh and familiar in this elegant, festive piano medley - and pianists love its flexibility. Easily condense or lengthen it by skipping or repeating sections that end in measures with a 6/4 meter. Great as a prelude, offertory or communion selection during church services and it's also perfect for weddings!